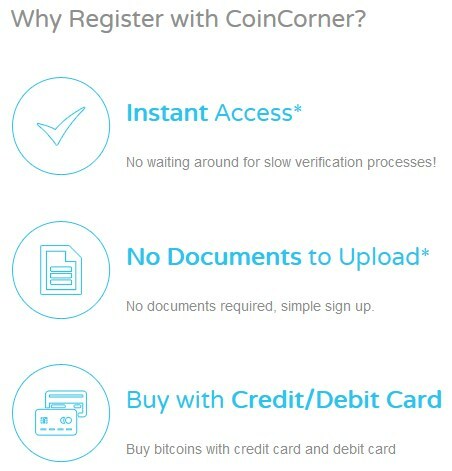 CoinCorner.com is a company set in the United Kingdom, with the aim of facilitating the exchange of cryptocurrencies in the wider area of Europe. Their headquarters are located in the Isle of Man, making sure that they are kept up-to-date with the advancements in the field of currency exchange. A team of tech savvies and advisors has come together, in order to help people maintain their anonymity and still benefit from easy, smooth currency purchase and sale. Let’s find out more about them! CoinCorner.com is available in English and German. If you consider the competition, this is an area where they might have to dig a bit deeper. However, English is the international language globally and they are located in the United Kingdom – so, that makes sense. Other than that, the platform is offered to people from UK and Europe generally. As a result, any European who wants to buy or sell cryptocurrencies can do so pretty easily. Apart from Europe, this is a detailed list with all the countries where the services are provided. There are quite a few payment methods on offer, including bank transfer and credit or debit cards. Of course, the use of credit cards comes with the proper card verification process, in avoidance of fraud incidents and other negative consequences of unauthorized card use. There is the Mobile Bitcoin Wallet available for mobile devices, making the use experience even better. You can find their apps on their website, covering Android running devices, Apple and Windows Phone. 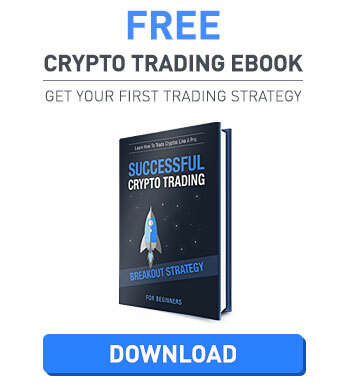 This is great, as the need for cryptocurrencies has increased significantly over time and therefore it is really helpful to have an app that covers the needs of mobile devices with no exceptions. 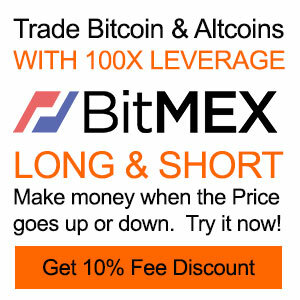 With the various plugins and the apps for mobile devices, you can expect easy and simple currency exchange on the spot. It is worth noting that on their website they clearly state their company number, which is 129003C. This is certainly an example of how reliable the company is. All the security measures required have been taken, on behalf of CoinCorner.com. To be more specific, their site is SSL secured and there is the proper encryption allowing HTTPS. They have got a special section, where they explain in full detail which activities they do not allow on their platform. The website of CoinCorner.com is pretty neat and modern looking. The navigation is easy and smooth. You can easily setup an account and start using the platform, in order to exchange the different cryptocurrencies. One thing that ought to be improved is the amount of personal information required, prior to completing the registration. Among the details provided, you need to include your address and mobile phone number, ID number and occupation. They even require your source of wealth. On the other hand, no document upload is necessary. The Mobile Bitcoin Wallet is really smooth to handle, which makes it easy and simple for all users to benefit from the services of the platform, no matter where they are. So, after having dealt with the card verification and the information needed for your sign up, you are ready to go! There is also a detailed analysis on how you can buy Bitcoin here, so as to make things run even smoother for you. Moving on to the support department of CoinCorner.com, the first thing that catches your eye is definitely the diversity of the social media options that they have got. Besides the usual platforms of Facebook and Twitter, you can also find them on YouTube and Pinterest, Google+ and Instagram etc. 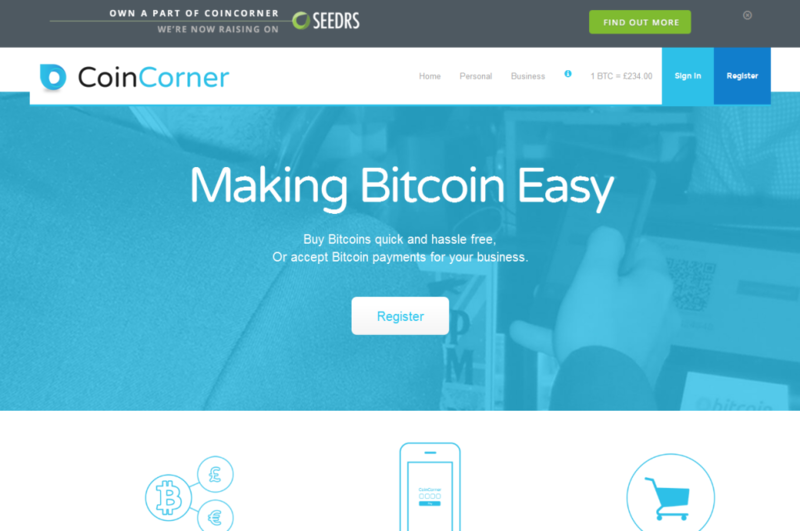 In addition, there is a blog where you can read all about the various articles on CoinCorner. A FAQ section is also on offer. If you wish to submit a ticket, things are simple. You can contact the company, simply by filling out a form with your name, email, phone and message. You are required to check a box and write down a code, so as to prove you are not a robot – security measures, once more. Alternatively, you can use support@CoinCorner.com and get in touch with a representative. There is no live chat or direct phone number available for the customers to make use of. However, the response time of the tickets and the wealth of knowledge provided on their site make this lack of live chat and phone number less important. We have come to the end of our CoinCorner.com review and we are glad to report the results. First of all, this UK based company has done a great job in the field of security. They are really devoted to their goal of providing a safe environment in the exchange of cryptocurrencies, making sure that no leaks are possible. What is more, they have created apps for mobile devices that can help people towards completing their exchange on the go. Credit and debit cards are also accepted as payment methods, in addition to the typical use of bank accounts. This can assist online users to complete their financial transactions directly and without the hassle of verifying everything. Security measures might be too much for many users, though. Especially when it comes to signing up for the first time, you are expected to fill in a form with many personal details. Other than that, the navigation on the website is smooth and there is no problem that might deteriorate user experience. Support could add live chat or a direct phone number, while the site could be offered in more languages. As a whole, though, it is needless to point out that CoinCorner.com is a reliable competitor on the global market of cryptocurrency exchange. Join my action group against these people. Easy to put money in but they are unable to explain why they cannot pay money out without converting back to Bitcoin then back to EUR. They say its something to do with money transmission rules, yet they are not regulated. I wanted more clarity because they just keep churning out canned responses that do not explain why they cannot simply transfer the funds. However they will not give a phone number though I did find this: 01624 827858. They don’t answer that number and so far they haven’t acknowledged that they even have a phone. The CEO is not contactable and they will only deal with customer service by email. Their bank is AS BlueOrange Bank, Jēkaba iela 2, Rīga, LV-1050, Latvija so I contacted them and it appears that there is no problem sending EUR funds to an overseas EUR account – there are no regulatory issues. 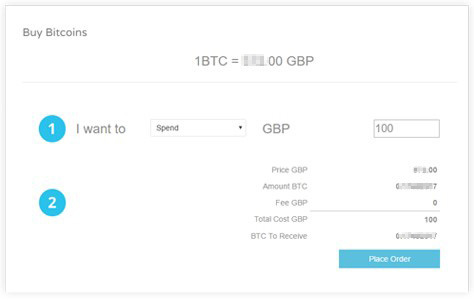 Though the bank hasn’t specifically stated, it would appear that the issue is that CoinCorner does not have a GBP account with them, which is simply a matter of requesting apparently. Yet CoinCorner haven’t adequately explained why they can’t send EUR to EUR account because, according to their bank, it’s possible. It’s no surprise they are not using a major bank, any bank affiliated with these people is on a bad run. I would like for others having similar problems to join forces with me to bring this scam to an end and save future people being ripped off. Send me your details to mbadistinction at gmail dot com. Anybody who has opened a bank account in recent times will have experienced the regulatory requirements. Crypto currency trading is not a mature sector and one can appreciate that there are complexities that operators such as CoinCorner have to contend with as it develops. Companies in this sector are continuing to navigate their way through the banking and regulatory systems. And this should be no surprise given early stage the sector is in. Missteps will happen it is how the actors respond that will determine who wins, or loses. We wanted to withdraw funds and CoinCorner tried to resolve the matter by asking us to buy BTC then sell for EUR. 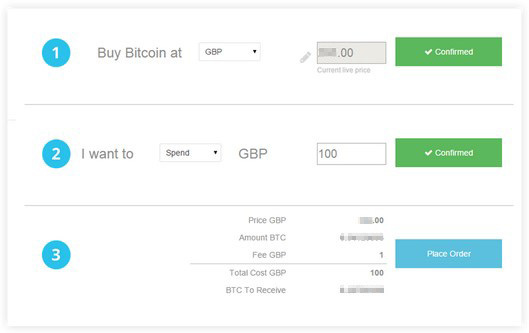 This arose because we sold BTC for GBP ignorant of the fact that GBP couldn’t be withdrawn to a UK bank account. In their defence, there was a warning – but the consequences of that were not comprehended. There are costs associated with each trade which we felt we shouldn’t incur. They did agree to waive with certain stipulations, so we wanted to speak with them for clarification and comfort. Whilst I understand their business reasons for providing support via email, we felt that their refusal to discuss the matter by telephone evasive. This is where the frustration started resulting in many more email exchanges. This customer could have been pacified if the company had appeared less evasive. Refusal to take phone calls only added to the frustration. Email has it’s place, but so does verbal communication. So, is CoinCorner a scam company? I doubt it. I turned up unannounced at their Isle of Man headquarters and met with both co-founders to see if we could get this matter resolved once and for all. They were accommodating and explained in great detail why they are unable to send funds in GBP – something which they hope to have solved in the coming weeks. 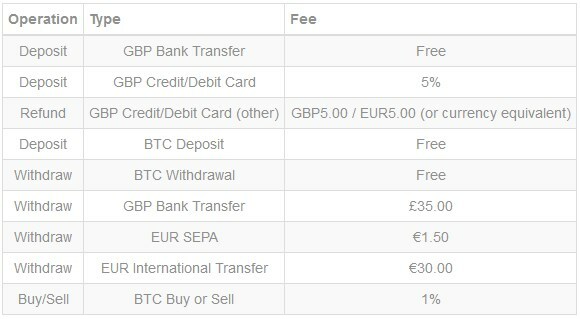 They waived their fees and provided the necessary guidance (and comfort) to make the withdrawal, converting GBP to BTC to EUR. Did they do the right thing in the end? Yes, though we wish it could have been resolved with less frustration. A phone conversation would have gone a long way to concluding this matter sooner. So far people have been complaining about high fees and response time and such however they just actually STOLE my bitcoin and did not pay. I got in touch with one of their employees acting as user ‘muj1998’ on Localbitcoin to sell some bitcoin. Obviously I was trusting good reviews on the platform and did not suspect anything. I realeased 0.5 bitcoin at £2500 based on the fake bank confirmation they sent me. I have never seen £2500 obviously.